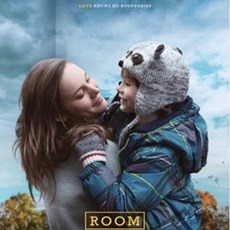 Acting like legitimate podcasters, William and Alexander invite their first guest, Jennifer Nelson, on the podcast to discuss Lenny Abrahamson’s Room, an Irish-Canadian co-production starring Brie Larson. Spoiler Warning: Key plot details discussed from 17:20 to 36:40. Also on this episode, William takes issue with a local critic’s thoughts on Victoria and Alexander suggests re-rating I Declare War based on William's infinite leaf scoring of Backcountry. Here are links to IMDB pages for the movies discussed in this episode: Room, Star 80, A View to a Kill and Victoria. In our new, potentially recurring segment, Room reminded us of these recommended movies: Days of Heaven, Bad Boy Bubby, The Lovely Bones and The Enigma of Kaspar Hauser. William Lee and Alexander Cairns howl about John Fawcett's 2000 teenage werewolf movie Ginger Snaps, starring Katharine Isabelle and Emily Perkins. Voices crack and things get hairy in this coming-of-age, pre-podcast episode. They round off the conversation with stray thoughts on Paul Thomas Anderson, Edgar Wright and others.